Nestled in the shadow of Ghost Mountain which is said to be the tombs of the previous Chiefs of the mountain kingdom and according to legend, it has been the scene of a number of bloody fights. With its dramatic silhouette, in the shape of an old woman or witch head, it is not difficult to understand why the mountain is said to be haunted and to be the theatre of paranormal activities. 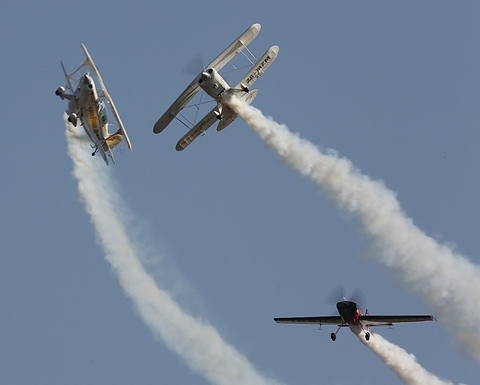 The Mkuze Airfield is where the second of the KZN Air Tour Airshow was held. With free entrance to the airshow the locals arrived in abundance to witness and experience for some their first airshow. The Pongola Cane Riders in their colourful biker jackets also attended the show. 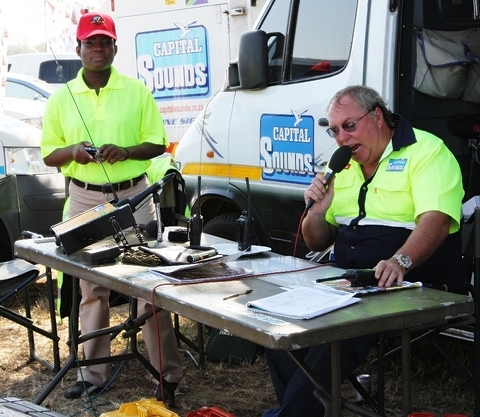 Brian Emmenis of Capital Sounds and his co commentator Charmaine Gumede a local Zulu girl from the region and broadcaster kept the crowds enthralled with their comic banter throughout the day from their mobile unit under the thorn tree. Brian mentioned that he really enjoys commentating at these country 'laid back' air events. 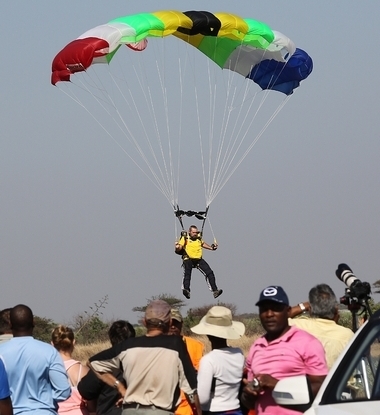 The Mayor of Mkuze Jeffery Valani opened the show with a parade down the airfield accompanied by the safety and emergency vehicles. 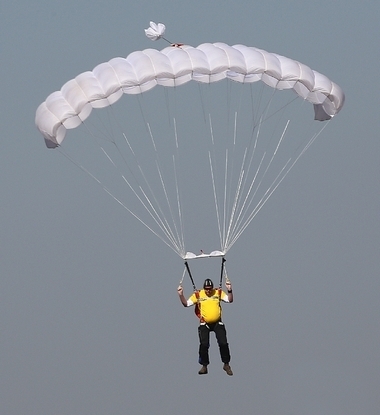 The Durban Skydive team in their yellow t-shirts led by Ian Douglas then took to the skies in the Antonov 2 ZU-FOO piloted by Hysteck Pretorius for the Para drop in gusting winds but all managed to land in full view of the crowd line in testimony of their experience. Federal Air the official airline for the KZN Winter Air Tour then did a flypast with the Mayor in their Cessna 208B Grand Caravan ZS-OJC. Michel Leusch then displayed his yellow and blue radio controlled Yak. 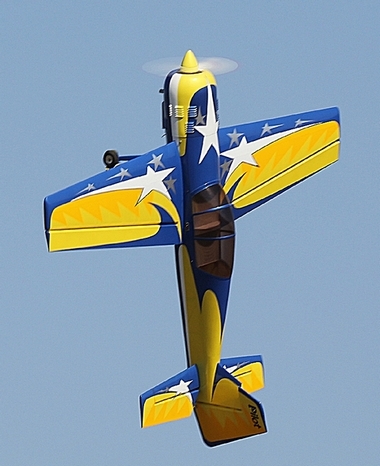 Followed by a riveting aerobatic display by Nigel Hopkins in his MX2. The crowds went crazy. Nigel was on top form. 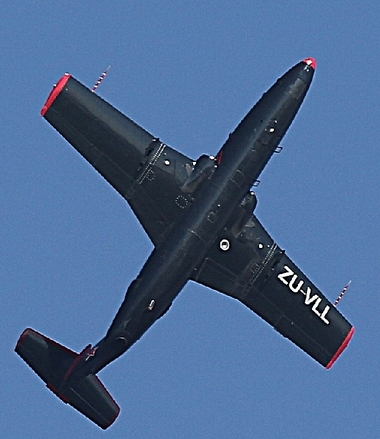 The L29 Delfin flown by Martin Schultze was the only jet of the day. This Russian jet was first seen in the skies on the 5th April 1959. 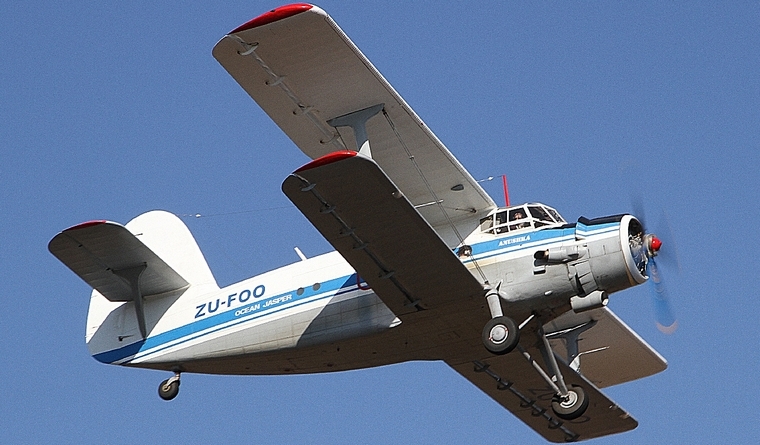 This was one of three Russian aircraft at the Airshow namely the Antonov and Yak 52. The Good Year Pitts flown by Dennis Spence and Johan van Sloms did a two ship display that had the crowds cheering in delight. Johan in fluent Zulu spoke to the crowds from the cockpit during the display. Brian told the crowds that Johan's call sign was 'Dingaan'. Nigel Hopkins joined the Pitts in his MX2 in their second display of the day making up this first seen three ship aerobatic display. 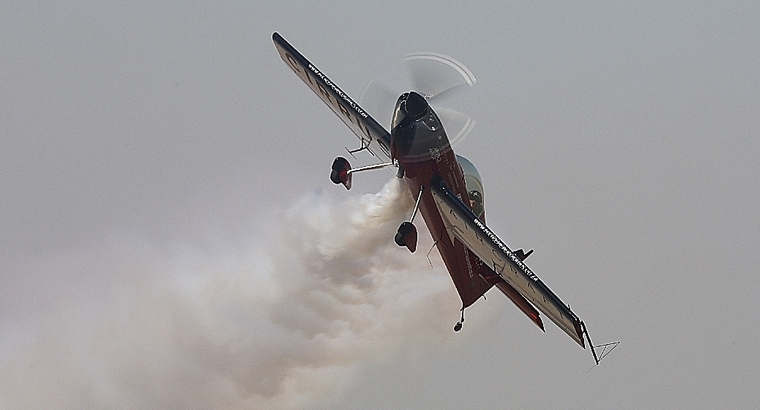 Dave Gouws in his YAK 52 with his 'Gorilla Man' act then entertained the crowds. The young locals were enthralled by the fact that a gorilla could fly a plane. Michel Leusch then had his turn to display his Super Decathlon in an aerobatic display. The project Rhino then did an anti-poaching display. 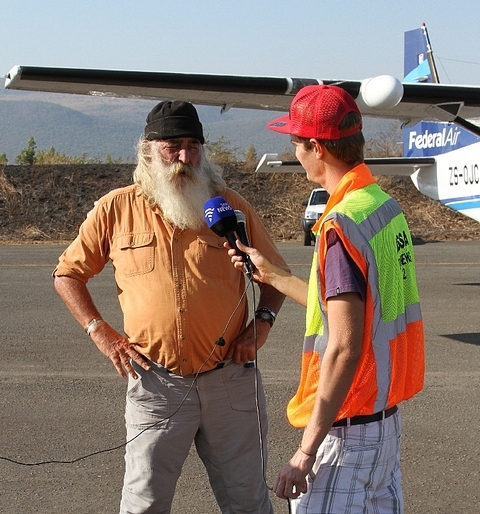 Kingsley Holgate, World Famous Humanitarian and Explorer was at the airshow in support of the anti-poaching of our Rhino. 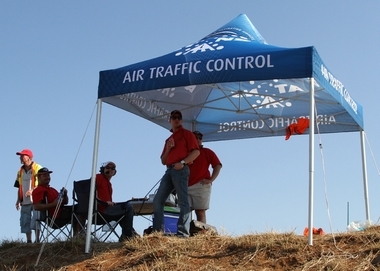 Special mention must go to safety director Fred Bebington, John Neilon Flight Director, Peter Graham Ramp Director and Riaan Olivier ATNS and his team for a safe airshow. 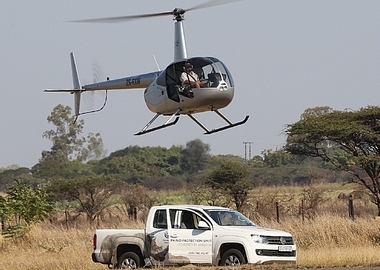 The third in the KZN Winter Air Tour will be held at Ulundi on Saturday 15th June. See you there.